Transport the children to and from school with the School Bus. Set includesfour figures. The School Bus comes with front and rear lights and ampleseating for figures. 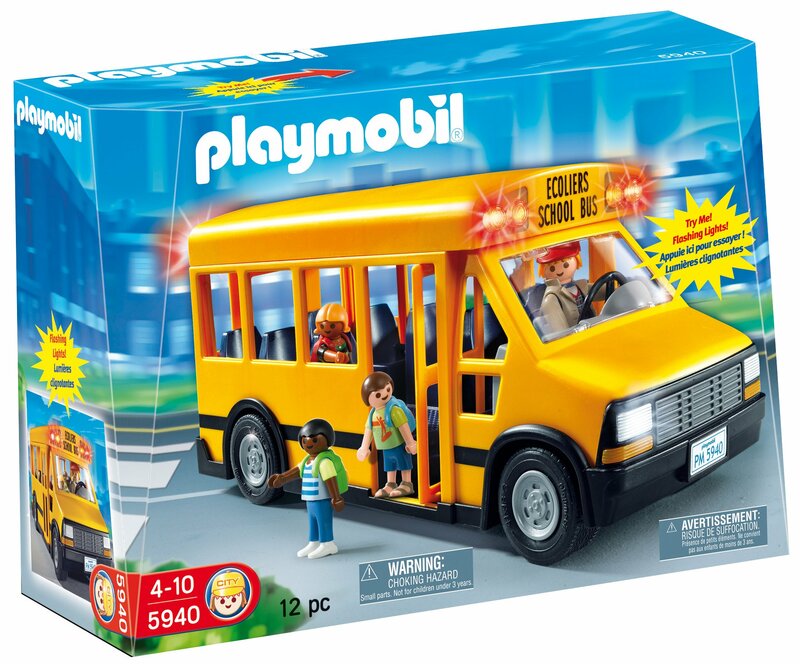 From the Manufacturer Playmobil School Bus: Transport the children to and from school with theSchool Bus. Set includes four figures. The School Bus comes with front andrear lights and ample seating for figures. Playmobil, Germany's largest toymanufacturer, is headquartered in Zirndorf, Germany and has been producing anddistributing toys for more than 36 years. The miniature worlds of Playmobilencourage children to explore and learn while having fun. Children'simaginations are transported to medieval times with the Playmobil castle, tothe adventurous seas with Playmobil pirates, and many other themed playworlds.The figures can bend, sit, stand, and turn their heads to make realistic roleplay possible.